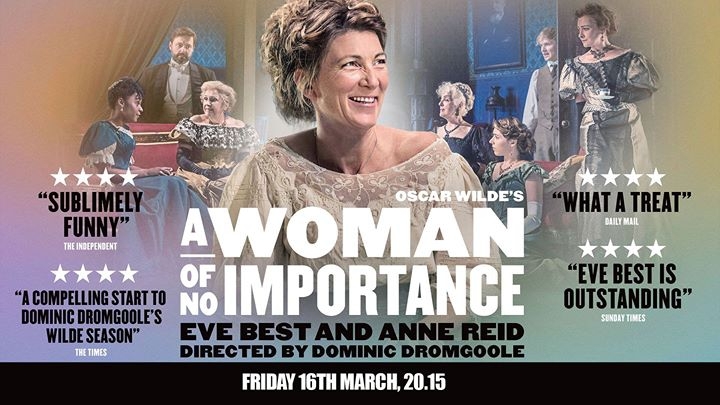 Eden Cinemas is hosting a year-long Oscar Wilde Season, opening with ‘A Woman of no Importance’ on the 16th March at 20:15 from London West End’s Vaudeville Theatre. Olivier award-winner Eve Best (A Moon for the Misbegotten and Hedda Gabler) and BAFTA-nominated actress Anne Reid (Last Tango in Halifax) star in this new classically staged production of Oscar Wilde’s comedy directed by Dominic Dromgoole, former Artistic Director of Shakespeare’s Globe. This will be followed by Lady Windermere’s Fan, directed by Kathy Burke, which will be broadcast on June 8. The final two productions in the season, An Ideal Husband and The Importance of Being Earnest, will be broadcast later in 2018. For tickets, visit www.edencinemas.com.mt or the Eden Cinemas Box Office.